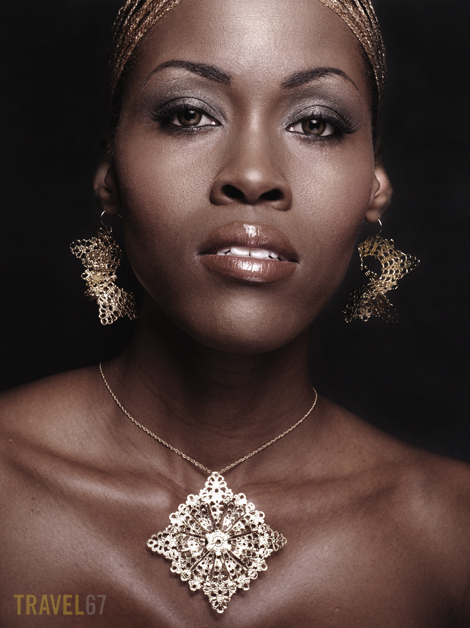 Yesterday I assisted my friend Eboh on a shoot for jewelry designer Suzanne Somersall. Nikki J, Ursula and Suzanne modeled the various rings, bracelets, necklaces and earrings while Kim Clay did makeup. It was interesting to meet and collaborate with the client on the shoot. As photographers, our job was to make both the models and the client’s products look their best. I took a couple of shots myself, this one of Nikki came out really well.